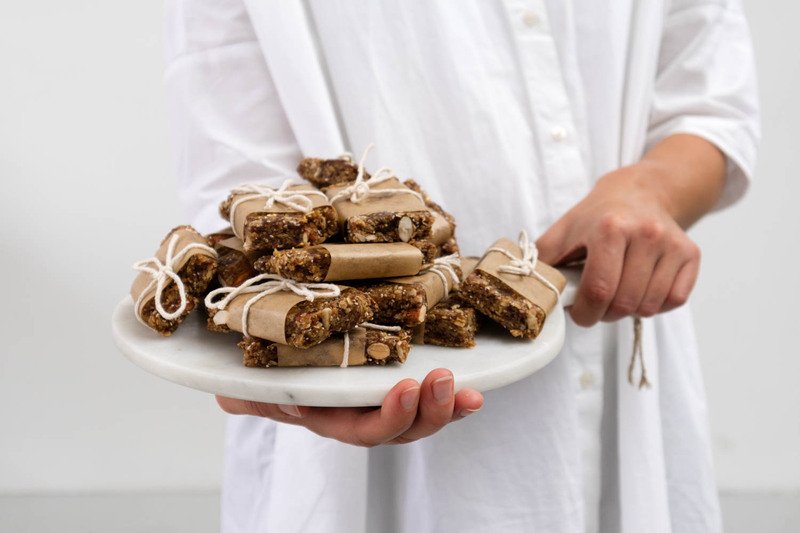 The perfect little granola bar that is packed full of goodness - Great for those days when breakfast just isn't going to cut it and you need to reach for an 11 o'clock munch treat... It happens to the best of us! Quick and easy to make and great to make in batch ready for the week ahead. Of course feel free to add in any other options such as dried fruit, other nuts or seeds or chocolate pieces. Alternatively, drizzle some melted dark chocolate over the bars then pop back into the fridge to set. > Start by toasting the oats and almonds in an oven (180 fan) for around 15 minutes or until lightly golden. > Using a food processor blitz up the dates until they form a sticky ball / dough like consistency. > Place the agave nectar and almond butter into a pan and warm over a low heat continuously stirring along the way. > In a large mixing bowl add in: the toasted oats & almonds, followed by the chia seeds, flaxseed, sunflower seeds and the dates. Pour over the agave and nut butter liquid and mix thoroughly ensuring the dates are evenly distributed (use your hands if easier). 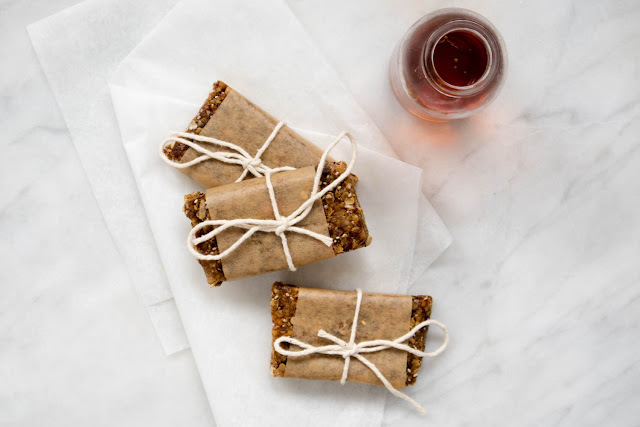 > Once combined, pour into a parchment paper lined tray or dish (around 8x8) and spread out evenly, patting the mixture down as you go to ensure everything sticks together nicely. > Chill in the fridge for about 20 minutes before slicing into bars. I took these granola bars to a photography workshop for the guests to photograph but also to enjoy at the beginning of the day with a cup of a coffee - Got such lovely positive comments! So, give them a go yourself and enjoy.